In the last week I have revealed my Downton Abbey and Dowager Countess of Grantham obsessions. So, of course, today isn’t Sunday; it’s Downton Abbey Day. I know not everyone recognizes today as anything more than Sunday (I pity them). Sean and I, though, do. So we will be watching Season three of Downton Abbey instead of the Oscars, and enjoying each cutting remark from the fabulous Dowager. 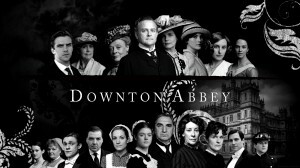 For those who share the obsession of Downton Abbey with me, I am sharing a great video. If you have not jumped head first into this show, maybe this will help convert you. And, of course, Happy Downton Abbey Day! I adore Maggie Smith, and I suppose I’ll someday have to watch this one. I do better when the whole thing is over and I can watch it end to end on DVD. I hate suspense. I manage it poorly, and every show likes to end with some absurd season finale that either kills off a character (this seems to be the Downton Abbey way) or leaves you hanging until next season. You can now see season 1 on Netflix streaming and the other two are available on video, but I also think they are on demand on the PBS site as well. Enjoy! Don’t think any less of me, but I’ve never seen the show. I may have to check it out & finally see what all the fuss is about.